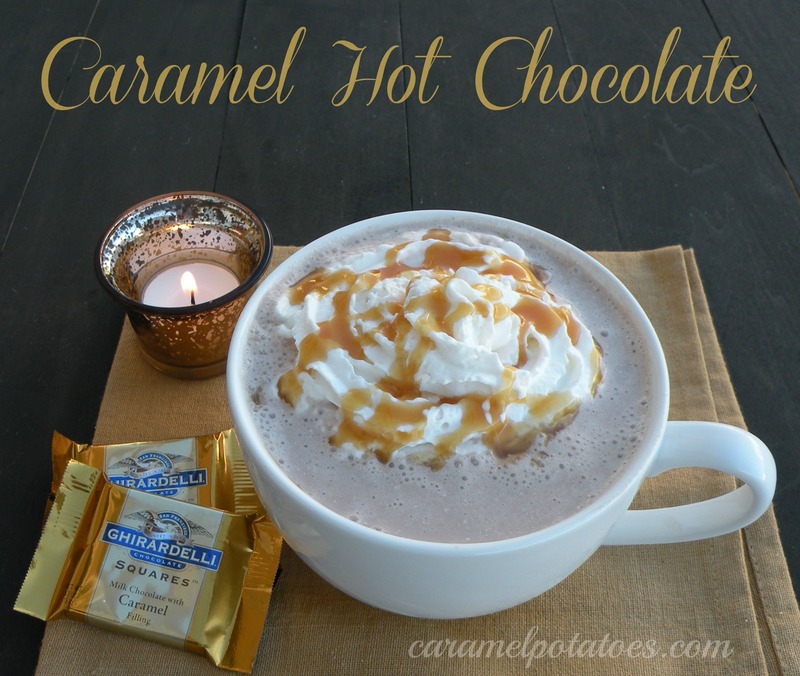 Caramel Hot Chocolate is no ordinary hot chocolate. This is made with Ghirardelli Milk Chocolate Caramel squares and you can taste the richness with the first sip. This is going to warm you inside and out. I can’t say enough about this particular hot chocolate recipe, other than you are going to want to try this one!! Heat half and half in a medium sauce pan over medium heat. Meanwhile, unwrap chocolates and cut into fourths. Just before the half-and-half boils, whisk in chocolate, and continue whisking until smooth and chocolate is melted. 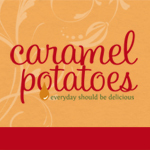 Serve immediately with a dollop of whipped cream and a drizzle of caramel topping. O. M. G. This looks so delicious! But I wonder how many servings it makes. That is a lot of half-and-half and chocolate squares. Definitely NOT low-cal. We had three small servings when we did it. They were each less than a full mug, so I would say 3 small servings or 2 full servings. And yes it is a lot of half and half and a lot of chocolates. It is oh so delicious though, it is more of a special treat than a regular drink. This looks crazy delicious!! I think I can even smell it through the computer! My sister and I host a joint party and we’d love for you to join us. When you link up at one site, it shows up on both my blog and my sister’s blog too…double exposure!! This would just warm you up on a cold winter day! I usually have those chocolates around for a treat, I will have to try this! This is too good to be true! I need to make that ASAP! Means I’ll go out in the rain now, to get all ingredients and enjoy it tonight on my couch! Thanks so much for linking this up at the Think Tank. YOU have been featured! Stop by to see all the other projects and link up any new ones you might have.